A bill intended to improve the efficiency of the state Department of Health and Human Services (DHHS) was advanced from general file March 30. LB417, introduced by Ralston Sen. Merv Reipe, would make numerous technical changes, incorporate operational efficiencies and remove outdated reporting requirements. • mandate that the department make aging services annual grants in an amount not to exceed $25,000. A Health and Human Services Committee amendment, adopted 35-0, removed provisions from the bill that would have required quality review teams relating to services for individuals with developmental disabilities and sections related to the use of alternative response. Riepe said the committee worked hard to remove any controversial portions of the bill as introduced, in order to address only technical improvements to the functioning of DHHS. 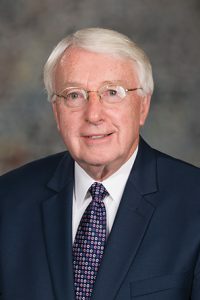 “There is a lot in this bill [and] its passage will allow the department to provide more efficiencies and effective governmental services to the citizens of Nebraska,” he said. LB417 advanced to select file 34-0.